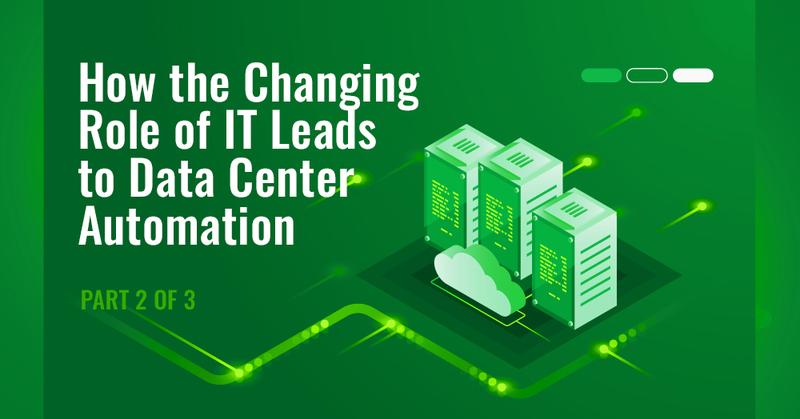 In part 2 of our interview with Sunny Shah, VP of Technology at TierPoint, we explore the renewed interest in data center automation and why smart IT leaders will include it in their 2019 planning priorities. What’s driving the focus on Data Center Automation? Interviewer: Data center automation covers a wide variety of subjects such as software-defined networking and storage, process automation, server virtualization…When you look at these together, the interest levels are obviously high. Talk to us about what’s driving this current focus on data center automation. There is a paradigm shift happening on a couple of levels. First, IT is being challenged to act more as an enabler of the business instead of an inhibitor. Think about the way things used to get done. IT leadership only got called into C-Suite discussions when the business was thinking about an initiative that might require more from their systems. That kicked off a relatively long round of discussions: How much capacity are we going to need? Where is the capital for the expansion going to come from? How long will it take to get this set up? What will we do with the excess capacity when the initiative ends? The business leaders are looking at the bottom line benefits of the opportunity and wondering how soon they can launch. Then, IT leadership comes in and tells them it’s going to take six months to get ready because they have to upgrade some of the existing systems, procure new equipment, rack and stack the physical servers, and so on. Well, you can understand why that puts IT at odds with the rest of the organization. Business leaders have always somewhat expected their strategies to be carried out with minimal delay. They may not have liked waiting six months, but they put up with it because they had to. But the speed of business has been steadily getting faster and faster due to technology. Like most of us, the C-Suite’s expectations of how long something should take is getting shorter and shorter. 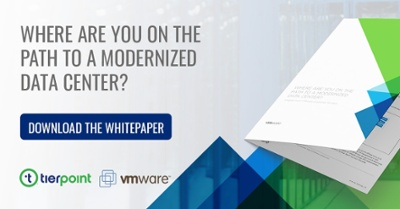 In a way, IT must automate using technologies like hyperconverged infrastructure and server virtualization to keep up with baseline expectations. That’s one way paradigms are shifting. Another way is through digital transformation. Here, IT isn’t just expected to enable the business; they are expected to lead the business. The IT team can’t do that when they are bogged down with time-consuming, repetitive tasks. The more they can automate these internally, the more they can focus on digitally transforming the rest of the business. As part of their digital transformation efforts, a lot of companies are adopting a multi-cloud strategy, and in a multi-cloud world, you almost have to address automation first. You are going to be required to not only instantaneously manage and track all your workloads, on-premise and off, but you’re also going to need to have an intelligent conversation about resource utilization with your CFO and not just your CIO or CTO. How much does cost factor into automating the data center? Interviewer: So business agility is a prime motivating factor. Is there a cost component as well? Always. At the C-level, they see that they don’t need to go through these annual expansion projects that require them to invest millions of dollars up front plus millions more to maintain the equipment only to have to replace it after three to five years. Also, you can’t overlook the estimating issues when it comes to supporting a new business initiative. If we overestimate the amount of capacity needed to support the business, we tie up capital. If we underestimate, performance suffers, and we hinder the business. The default is usually to over-invest to avoid the pain of not having what they need, but long-term, that drives up costs. The concept of the software-defined data center can address this in part because it makes it so much faster to expand capacity. Hyperconverged devices can be plugged in and much of the process of integrating them into the network automated. When resources need to be provisioned, that can be done remotely, so there is no need to travel to the data center to get the job done. For the globally dispersed business, this has been a real boon. They don’t need to hire advanced engineering expertise in each of their locations. Instead, they can employ staff to do the physical work of plugging in the systems while they are configured and provisioned by more experienced engineers remotely. Of course, by outsourcing your data center to Amazon or Microsoft, or even to TierPoint, capacity expansion can be pretty much instantaneous. When will automation reach a tipping point? Interviewer: When do you think we’ll reach the tipping point for automation? That’s an interesting question. I’m probably dating myself, but my generation includes a lot of people who just can’t let go of their servers. But my son, who’s fifteen, comes from a generation that doesn’t really even know what a server is. If he chooses to pursue a career in Information Technology, he’s probably not going to think of acquiring capacity in terms of buying expensive infrastructure up-front! A lot of the existing trends are just rooted in the concept of server virtualization – this whole notion that you don’t need a physical server for every workload. In fact, most of your workloads probably sit idle a good portion of the time. VMWare, which everyone knows is a pioneer in this space, started this back in 2000. Amazon, back in 2006, launched elastic compute and revolutionized cloud computing. These companies and others created a new expectation, even in smaller companies, that automation is not hard. The technology is out there, and it doesn’t have to be exotic like the things Facebook or Amazon’s army of engineers is building. In the final post in our series, we’ll talk about how data center automation is affecting IT staffing needs and the individuals who fill those roles. Read the first entry in our Data Center Automation Q&A series, The Current State of Data Center Automation. Automation can be a valuable tool for any business looking to transform. Learn how TierPoint can help you maximize performance and availability to create the best experience for your users. Contact us today.